MESA – With the help of four Republicans in the House and four Republicans in the Senate, Governor Janet Napolitano was able to pass a devastating budget containing over $2 billion in borrowing and spending gimmicks. Her plan included $1 billion for university construction to be paid for through taxes collected from increased gambling, and revenue-raising traffic cameras that will issue speeding tickets to pay for reckless state spending. A group called Protect Arizona’s Future has spent over $120,000 to support Republicans who helped pass the budget and recruit other friends to replace those who have been critical of the Governor’s borrow and spend policies. Two of the Republicans who helped pass the current budget are Representative Pete Hershberger and Senator Tom O’Halleran. One of their recruits, immigration lawyer, Kevin Gibbons, is challenging Representative Russell Pearce for the District 18 Senate Seat. Protect Arizona’s Future is using deceptive signs to support their candidates. They claim that they “Fight for Lower Taxes” and support “Strong Republican Values” when in fact, they voted against the 27 other Republican legislators who refused to support the Governor’s irresponsible budget. If you review the rankings from the Arizona Federation of Taxpayers or the Goldwater Institute, you will see that the candidates backed by Protect Arizona’s Future are truly not friends of the taxpayer. Their tactics are especially troubling in Legislative District 18 where Protect Arizona’s Future is supporting Kevin Gibbons, the candidate who has been bankrolled with big dollars from Democrat supporters, employer sanctions opponents, groups that support open border policies and other state-wide special interests. Russell Pearce has been an outspoken critic of this budget and has challenged the Governor to cut her reckless government spending programs. He has been a perennial champion in reducing the growth of government and protecting the taxpayer. 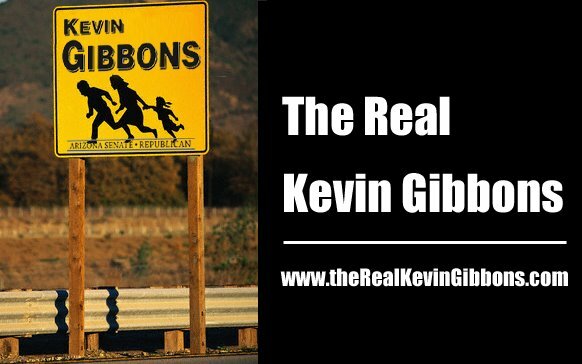 Protect Arizona’s Future and the special interests have thrown their support behind Kevin Gibbons, in an attempt to knock off a real conservative in the primary and replace a voice of fiscal responsibility with yet another big spending. Clearly, Gibbons is the Democrat’s choice in this Republican primary. Don’t be fooled by the rhetoric put forth by the Friends of the Governor’s Budget. Russell Pearce is the only Senate candidate for District 18 with the proven leadership skills and experience necessary in reversing our state’s fiscal crisis.